When thinking about the best things to do in in Cancun it’s tempting to book an indulgent all-inclusive package to Mexico. Who doesn’t dream of lazily laying by bright turquoise waters, while enjoying unlimited libations and gourmet cuisine? Yet, there are too many exciting things to do from Cancun to bypass a booking a couple of Yucatan tours. Beyond some of the best-preserved Mayan cities in Latin America, the Mexican states of Quintana Roo and Yucatan offer several once-in-a-lifetime wildlife encounters, sacred underwater swimming spots, elegant colonial towns, and vibrant theme parks. Below, my favorite things to see from Cancun, Playa Del Carmen, and other resorts in the Riviera Maya. 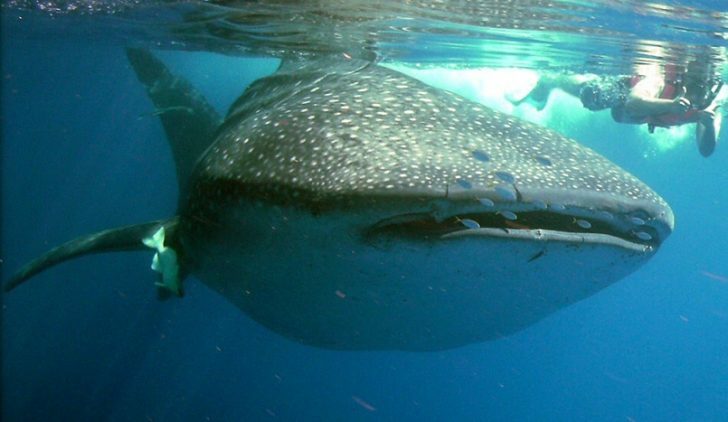 Did you know some of the best spots in the world to swim with whale sharks are an hour or two away from Cancun? Although day trips to these outlying islands are popular, I highly advise you to spend the night there. You’ll be hooked by the change of pace and chill vibe, I guarantee you that. Holbox: best spot to swim with whale sharks and no paved roads. Enough said. Isla Mujeres: popular day trip and turtle sanctuary. Thus, transformation comes at sunset! Cozumel: plan your visit when there are no cruise ships scheduled. Best for diving enthusiasts. Topping the list of the most popular things to do from Cancun are some archaeological sites of the great Mayan civilization. In fact, most of the best Mayan ruins in Mexico are sprinkled throughout the Yucatan Peninsula. From multilevel rock pyramids to intricate stucco carvings and art, the Mayan cities in this region showcase formidable contrasts. If you’re a history buff, you’re probably wondering which of the many ancient cities to see during your short visit. Uxmal: Mayan equivalent of Italy‘s Florence. Incredible stucco carvings and decorations. 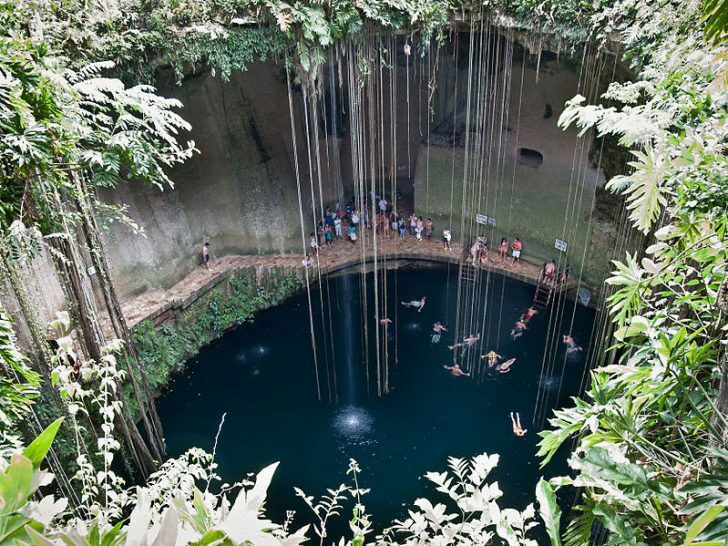 Another top thing to do from Cancun is to dip into one of the hundreds of underground cenotes and rivers. Like spiderwebs, they penetrate the Yucatec jungles and even some of the aforementioned Mayan sites. Dos Ojos: two cenotes in one, part of one of the 10 longest underwater cave systems in the world! Easily accessible from Highway 307, just south of Playa del Carmen. Rio Secreto: speaking of impressive cave systems — you can’t miss this natural underwater theme park. Thousands of long, dramatic stalagmites and stalactites are highlighted by a bright-aqua underground river. Gran Cenote: “grand” is the proper name for this Tulum cenote, whose biggest draw is a cave filled with bats. Ik Kil: heading to Chichen Itza? Bring your swimsuit and take the short walk to one of the most picturesque cenotes in the Yucatan Peninsula. While the Spanish arrived to the Yucatán in 1502, it wasn’t until 1541-1542 that the established permanent town councils in the region. The Peninsula’s sheer size, however, limits the day trip options for Cancun visitors eager to explore them. Merida: one of the most important Spanish settlements in the region is 3 hours away from Cancun. 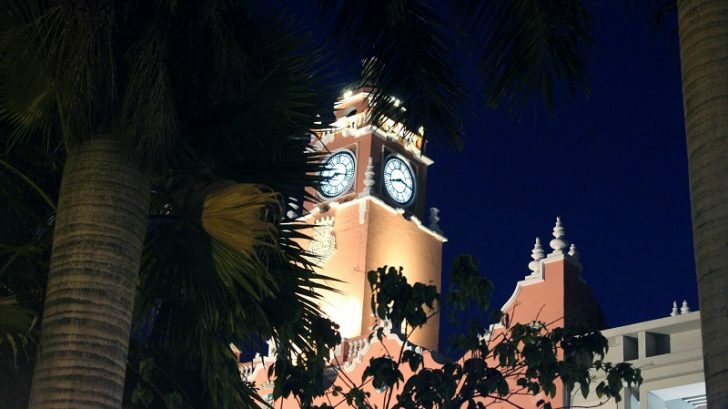 I recommend an overnight trip on a Sunday to enjoy the lively weekend market. Local cuisine, live music, and other events will add the needed cultural spice to your Cancun trip. Valladolid: part of the “Magical Villages Program” of the Mexican Tourism Board due to its historical relevance, natural beauty, and cultural treasures. 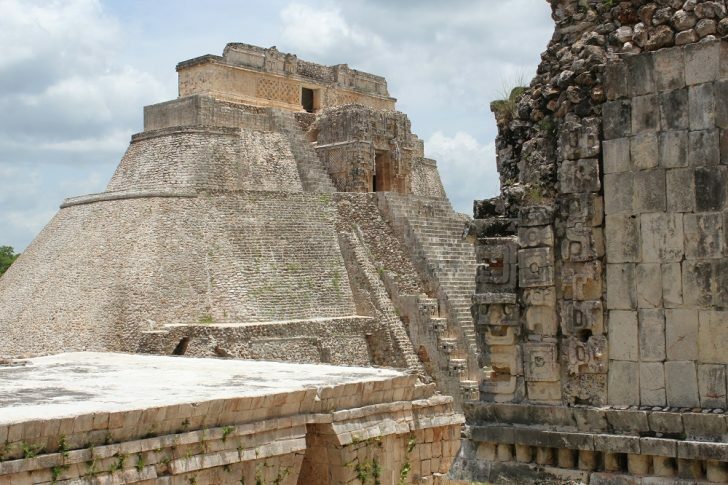 Izamal: another “Magical Village” and important town of the pre-Columbian Maya civilization. Easy ride from Merida. Southern Mexico is one of the few regions in the world where I actually enjoy theme parks. From spectacular Vegas-style shows and thrilling zip lines to lazy tubing and underground spa treatments–there’s a unique Mexican Park in the Yucatan for everyone. Xcaret: interactive zoo and aquarium meets Mexican culture. WHA? Hands-down, the best park for a group of travelers with mixed interests. Even if you visit a different park, still come for Xcaret’s spectacular night shows–all three of them are must-sees. Xel-há Park: more of an aquatic theme park. SNUBA (a mix of snorkeling and scuba diving), underwater walks, lazy rivers, and dolphin swims are some of its top attractions. Xplor: the ecoadventure park for active travelers. Amphibious vehicle drives, zip lines, rafting, and more underground rivers to swim down of. When picking which Mexican theme park to visit though, consider how close each is to your resort. Great international travel destination..amazing photos..
We spend 3 months every winter in Cancun! We travel on public transit in every direction….always feel safe and buses, ferries, colectivos are all so cheap. We’ve been to most of the places you mention and so many more….Playa del Carmen is a funky fun town with many fab restaurants 1 hour south via colectivo…we day trip down usually once a week….this year we travelled via bus to/from Majahual…..beauty laid back spot….always something new for us to explore! I love animals and being able to interact with them is an incredible experience BUT not natural for them. 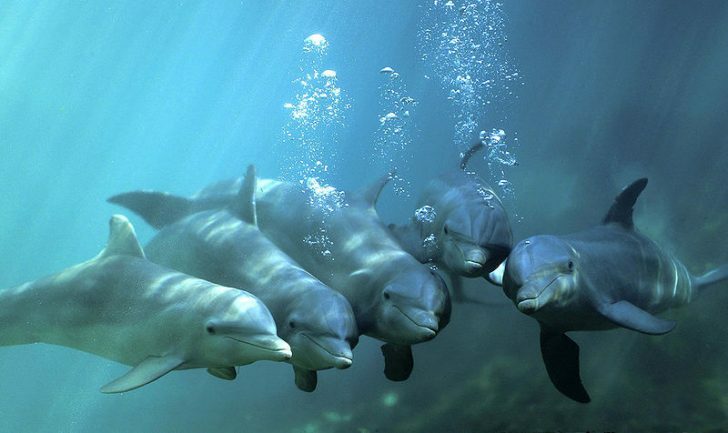 Particularly swimming with dolphins. Can you tell me about the standard of animal welfare in the places you recommend above? Particularly the swimming with whale sharks and the theme parks?